Inner beauty is great, but fabulous hair never hurts! Right, ladies? In this harsh weather, one thing we all have trouble with is dry and rough hair. To fight this nightmare and get soft and luscious hair, you need to pamper it with the right kind of shampoo. 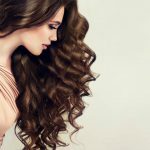 With shampooing comes great hair, and with knowledge of the best shampoos in the market comes wisdom of hair care. Dreaming about soft hair is common among women. But to manifest it into reality, you need to choose the best fit product from the list below! 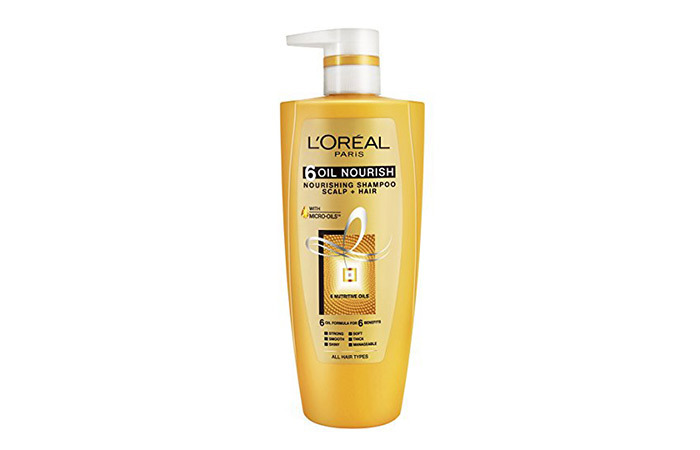 L’oreal Paris 6 Oil Nourish Shampoo is a perfect example of science meeting tradition. With the infusion of three traditional oils and three exotic oils, this product is indeed every girl’s best friend. To provide complete nourishment from root to the tip, these micro-oils – namely almond, coconut, argan, jojoba, olive, and camelina oils – are brought together to give you flawless soft hair. 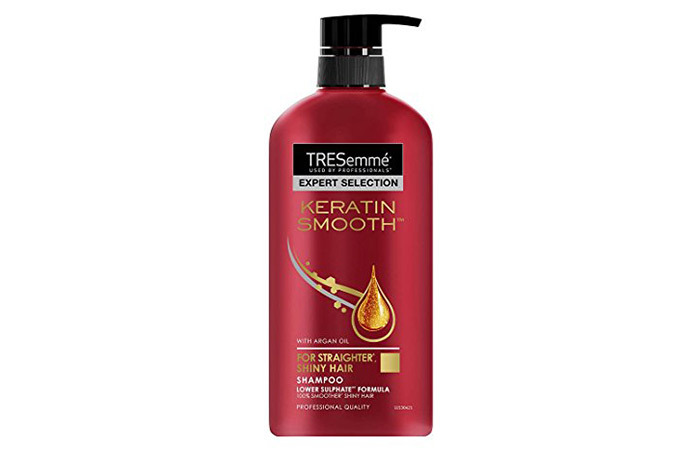 RESemme Keratin Smooth Shampoo is specially formulated to leave every hair strand gorgeously silky, soft, and shiny. This hair care product promises to leave your hair frizz-free for three days. The goodness of argan oil also add shine and tames your unruly hair. The keratin protein fights dryness and gives you manageable hair in no time. 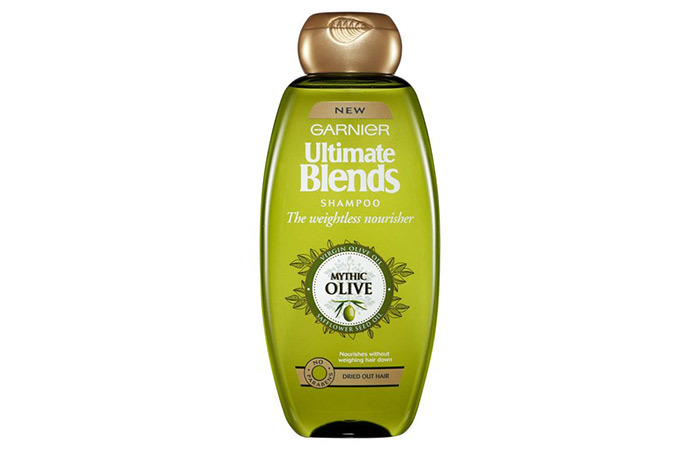 Garnier Ultra Blends Mythic Olive Shampoo is a potent blend of extra virgin oil and vitamin E that help nourish dry and rough hair. The special ingredient in this product is olive oil, which is known to be the best natural nourishing agent. It smoothens the dry parts of your hair with its rich antioxidants. 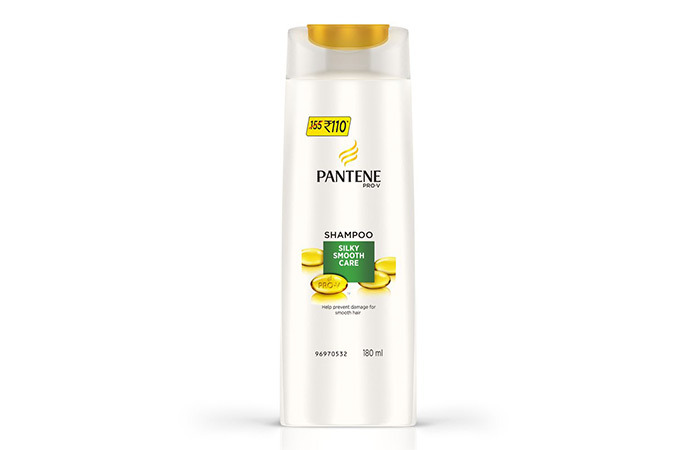 Pantene Pro-V Silky Smooth Care Shampoo promises to give you stronger and shinier hair. Daily use of this shampoo guarantees damage protection. With the help of Keratin Damage Blockers Technology, this shampoo locks in essential moisture and removes excess humidity, keeping your hair shiny all day and in any weather. It is a total winner even on the hottest days! This luxurious shampoo is an exotic blend of creamy coconut oil, keratin proteins, avocado oil, and cocoa shea butter. This goodness-filled shampoo helps in strengthening and smoothing your tresses from root to tip, adding luxurious glow and luminescent shine to it. This chemical-free luscious shampoo is a perfect hair product to tame your wild wavy and curly hair. If you are troubled with unruly and unmanageable hair and were looking for a savior, here it is! 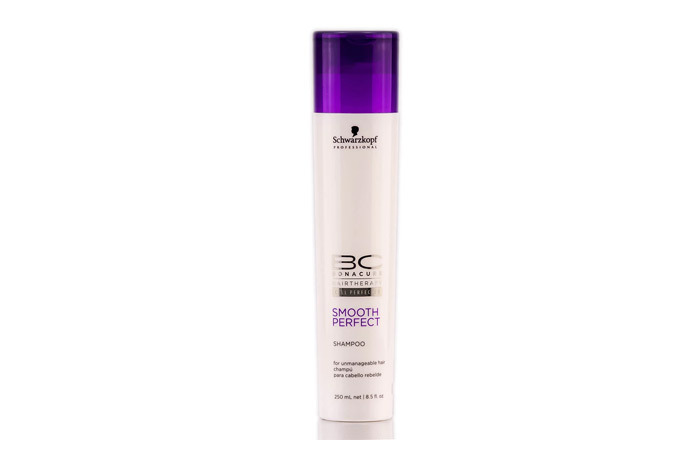 Schwarzkopf Bonacure Smooth Perfect Shampoo is specially made for stubborn hair. 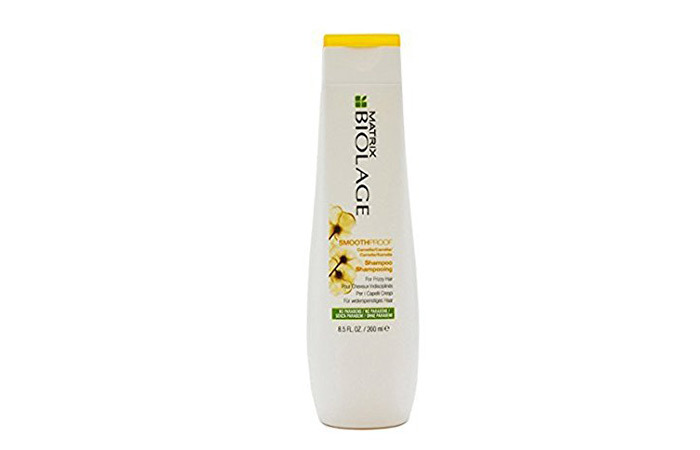 With the Bonacure technology, this shampoo makes your hair frizz-free and smoothens it effectively. The amino cells in it help restore the elasticity and strength of your hair from within, giving it a healthy and soft texture. Did you ever imagine that an ingredient lying in your kitchen would be a blessing to your locks? It certainly is! 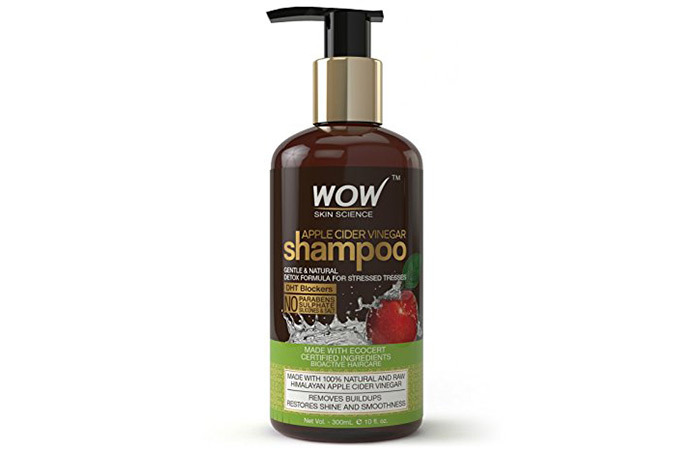 WOW Apple Cider Vinegar Shampoo is an organic shampoo enriched with natural apple cider vinegar extracted from pure Himalayan apples. This shampoo clears all the impure residue off your scalp and transforms dull and rough hair into smooth and luscious tresses. Apple cider vinegar is known for its healing properties. It generates hair growth and helps clear all the fungus and bacteria clogging your follicles. 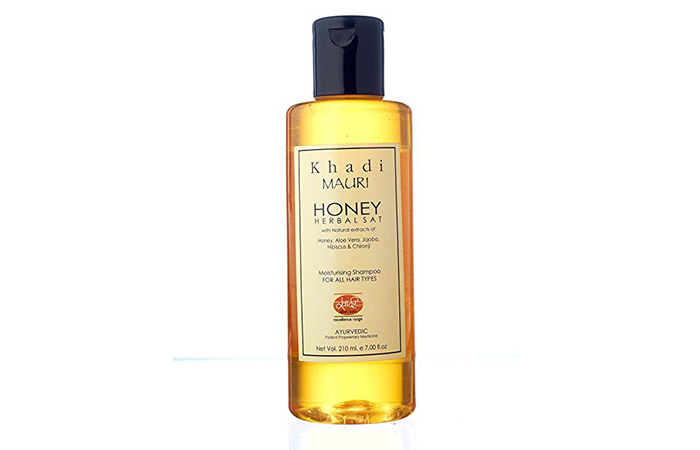 If you are suffering from dry and brittle hair, Khadi Mauri Honey Moisturizing Shampoo is your perfect mate. With natural ingredients like honey, shikakai, henna, and almond oil, this shampoo is perfect for sensitive hair. Honey is the special ingredient in this product that helps in adding glistening shine to your hair. The rich fatty acids in almond oil will nourish your hair thoroughly. Infused with water-resistant Camellia flower, Matrix Biolage SmoothProof Shampoo is the perfect to-go product for frizzy and unmanageable hair. 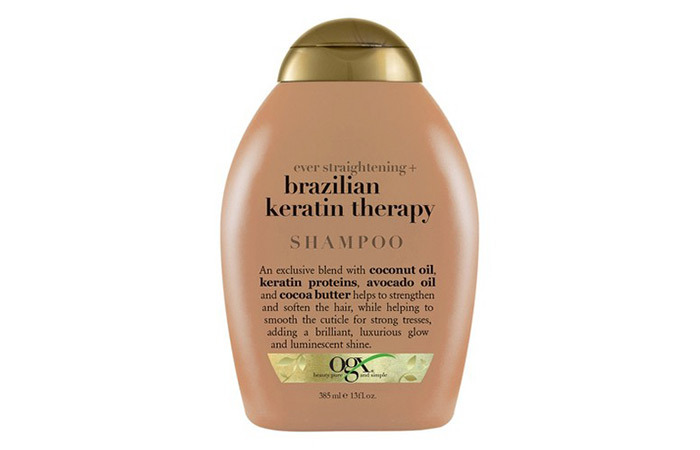 This product claims to provide frizz-free hair and acts as a smoothening agent even on the hottest days. This paraben-free shampoo polishes your hair and creates a protective layer around it against pollutants. If you have colored hair and are looking for the perfect shampoo, choose this product as it is color-resistant. Are you vexed with chemicals products and are frantically searching for an organic substitute? Then, you can breathe a sigh of relief! 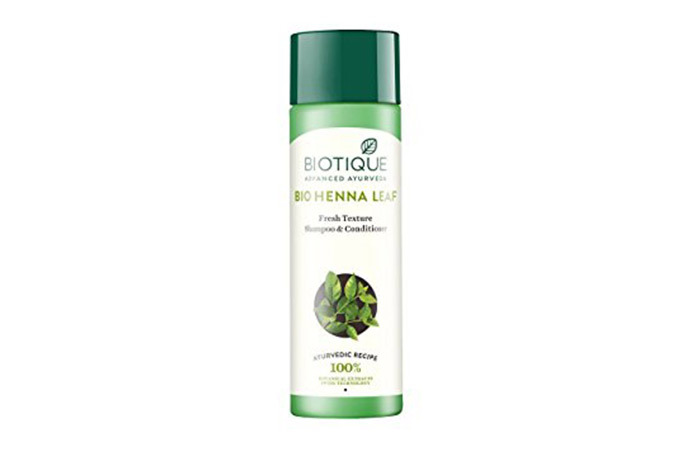 Biotique Bio Henna Leaf Fresh Texture Shampoo is brought to you directly from Mother Nature. With the powerful yet subtle combination of henna leaves, soap nuts, brahmi, liquorice root, and aam beej, this shampoo will undoubtedly work wonders on your hair. These essential herbal properties will deeply nourish and condition your hair. The botanical extracts will add shine and volume to your hair within a few applications. 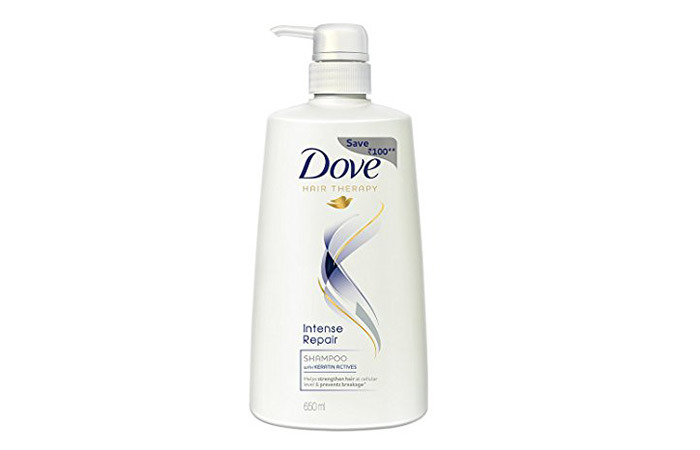 India’s favourite ‘shampoo next door,’ Dove Intense Repair Shampoo is a familiar one. Thanks to the recurring advertisements from this brand, we are well aware that this product helps nourish our beautiful Indians curls and wavy hair. The keratin actives help repair damaged hair follicles and restore healthy shine. It makes your hair resilient to further damage and retains its softness, making you want to touch your hair constantly. Hence, this shampoo is a perfect product for your daily hair care routine. 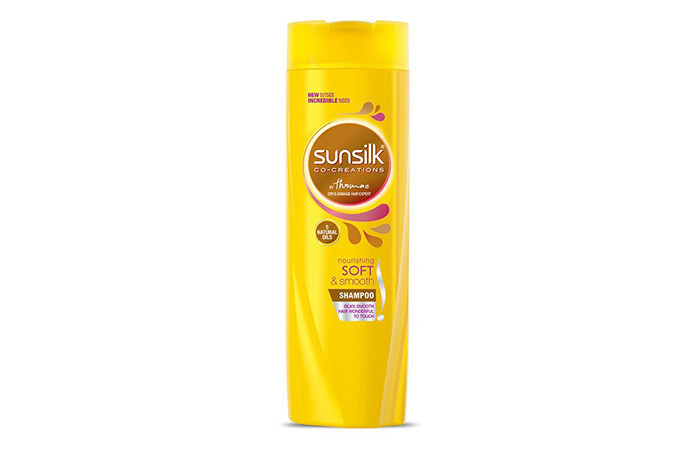 Sunsilk Nourishing Soft & Smooth Shampoo is co-created with dry and damaged hair expert Thomas Taw. Enriched with five natural oils – argan oil, babassu oil, camellia seed oil, sweet almond oil, and coconut oil – it promises to transform even the driest and dullest of hair into soft, smooth, and silky hair. 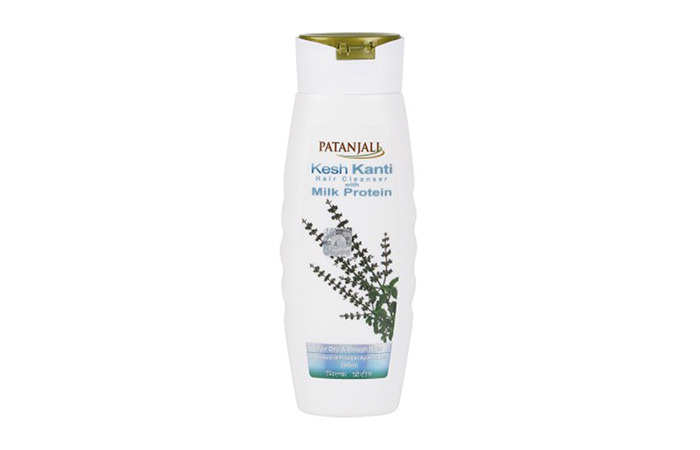 Packed with a wide range of natural ingredients, Patanjali Kesh Kanti Milk Protein shampoo brings you the combined goodness of nature. It promises to nourish and condition your hair and remove any bacteria or fungus with its antibacterial properties. Ingredients like neem, aloe vera, shikakai, and amla help in conditioning your hair and repair damaged follicles. Daily use of this shampoo might prevent premature graying of hair too. This is the perfect shampoo for you if you are always on the run. 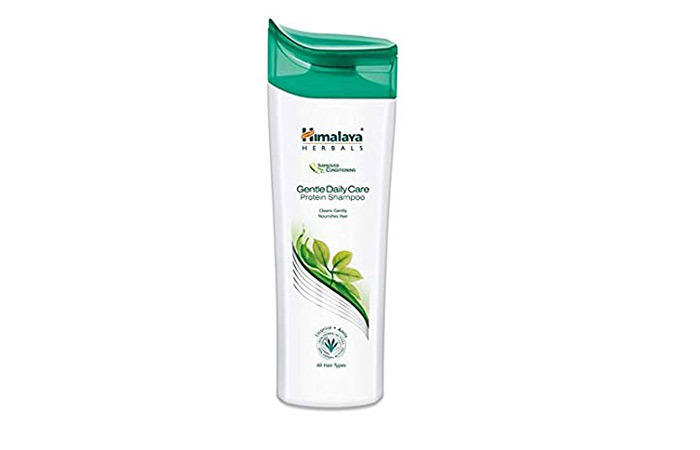 Himalaya Gentle Daily Care Protein Shampoo contains natural extracts of chickpea and amla that are high on proteins. These ingredients provide nourishment and cleanse your scalp of dust and impurities. This shampoo helps in promoting hair growth and strengthens your hair from root to tip. You must be well aware of this product even if you haven’t used it. 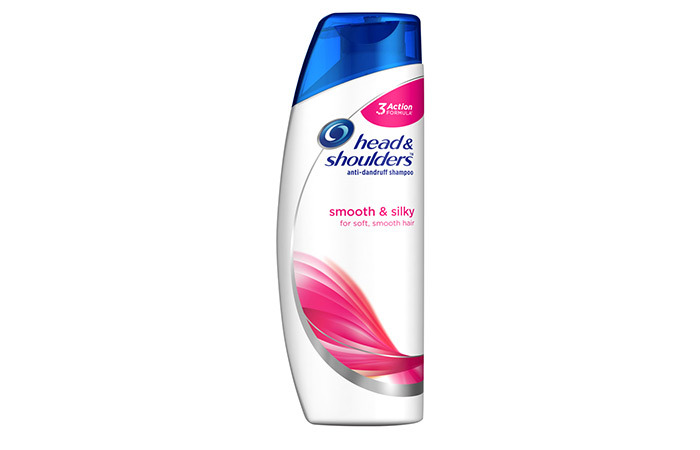 Head & Shoulders Smooth and Silky Hair shampoo promises to leave your hair dandruff-free. You can even use it on chemically-treated and colored hair. This daily care shampoo will help you fight pollution and, with its unique formula, it makes your hair frizz-free in no time. Now that you are of the best products in the market now, hurry up and grab the perfect match to flaunt silky smooth hair. Comment below to let us know about your experience.